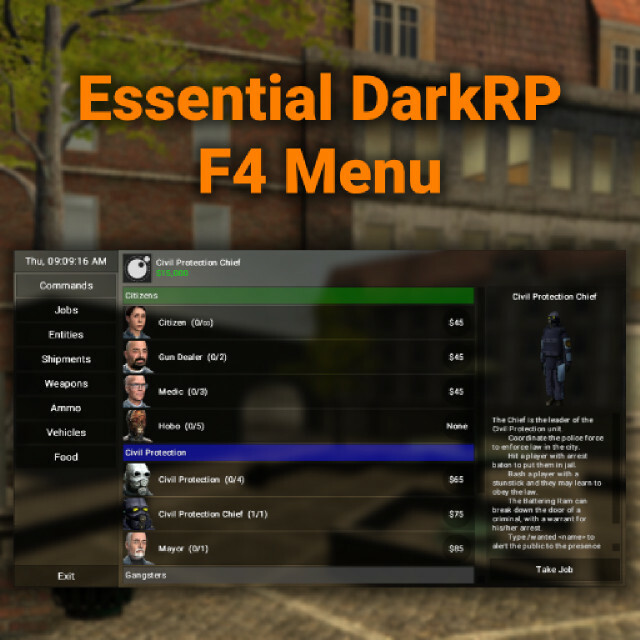 A free blur themed alternative to the default DarkRP F4 menu. Drag the essential_darkrp_f4_menu folder into garrysmod\addons and restart your server. Make sure to check the workshop version regularly for patches & improvements. !f4 - Opens the F4 menu. !f4menu - Opens the settings menu. Except where otherwise noted, this code or work is licensed under a Creative Commons Attribution-NonCommercial-NoDerivatives 4.0 International License.